Using texture in design has become quite the trend these days. One of the more popular texture styles is using the ‘noise’ filter (in Photoshop) on plain colored backgrounds, which give it that subtle nice texture feel, as apposed to a flat solid color. 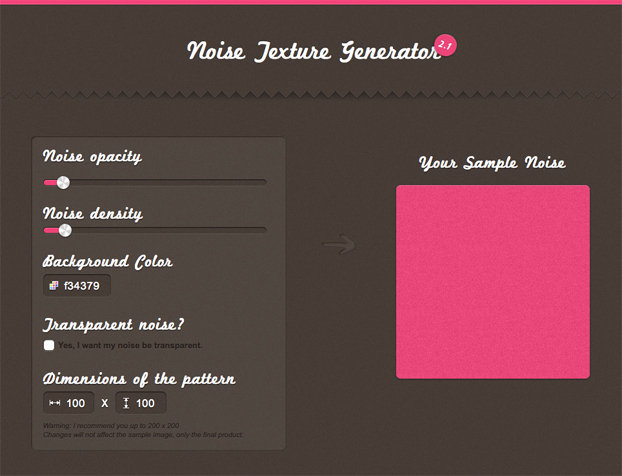 Check it out, and do let us know what you think or if you know of any other texture generators that you use.